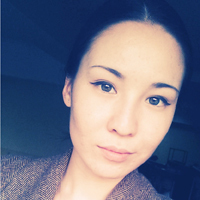 Before starting the MIB program in September 2016, Amira received a Bachelor's degree in International Relations in Kazakhstan and also did several courses in Mathematics at the University of Stuttgart. In the program Master of International Business students could choose one of three regional specializations – Asia, Africa or Latin America – and visit the respective region in addition to the lectures about it. In October 2017 the group studying Latin American business relations visited Brazil to deepen acquired knowledge about Latin America and doing business there. In less than two weeks our group of seven students has seen four cities in the Southeast of the country – São Paulo, Santos, Paraty and Rio de Janeiro. Since São Paulo is Brazil’s economic and financial center, we had many company visits there. First we visited IL Management, a company that provides assistance to international clients operating in Brazil – from market entry research to book-keeping and audit. Then we had a visit with a factory tour at Colgate-Palmolive, where we learned about the vision of the company, its financial and marketing strategy, automatization, resource management, as well as production process. Next we visited DSM, a Dutch company that produces vitamins, dietary supplements, ingredients for food and beverages, animal feed and advanced materials. In discussions with senior managers of the company, we talked about its financial targets, measures taken to minimize waste and emissions, and about business environment in Brazil. Later we had a visit to Sherwin-Williams, which is a Fortune 500 company that produces paints and coatings. In the meeting we discussed the company’s sales channels, pricing strategy and usage of digital media, and then had a factory tour. We also went to the office of NovoNordisk, a Danish company producing diabetes, haemophilia and growth hormone disorder medicine. There we not only had a chance to learn more about diabetes and haemophilia, but also discussed market access issues and product lifecycle in the pharmaceutical industry. Finally, our last company visit in São Paulo was to Omnibees, which is a Portuguese company that makes hotel reservation management software. Having spent almost five days in São Paulo, we traveled to Santos, a city on the coast which has Latin America’s largest seaport. After a short stop there, we headed to Paraty and spent two days enjoying the nature of its surroundings, visiting a national park and taking a boat trip to the nearby islands and beaches. As the last part of our trip, we spent three wonderful days in Rio de Janeiro. Right on the first day, we went to one of Brazil’s most famous sights – the Mount Corcovado with the statue of Christ the Redeemer! After that, we had a very interesting walking tour in one of the oldest districts of Rio de Janeiro and learned about the history of slavery in Brazil. The next day, we visited Estácio de Sá, one of Rio’s samba schools and could see preparations for the upcoming carnival. On the last day of our trip we visited Fundação Getúlio Vargas (FGV), which is one of Frankfurt School’s partner universities and listened to a short lecture about the development of Rio de Janeiro during and after the mega-events such as FIFA World Cup of 2014 and Summer Olympic Games of 2016. I dare say that this excursion made a lasting impression on every member of our group! Not only was it a great bonding experience, but the program was also very well-balanced so that we could make a comprehensive picture of Brazil, its economy, people and culture.